Yay! More Hello Kitty Scooter Goodness! Thanks to Madeline G. for this find! 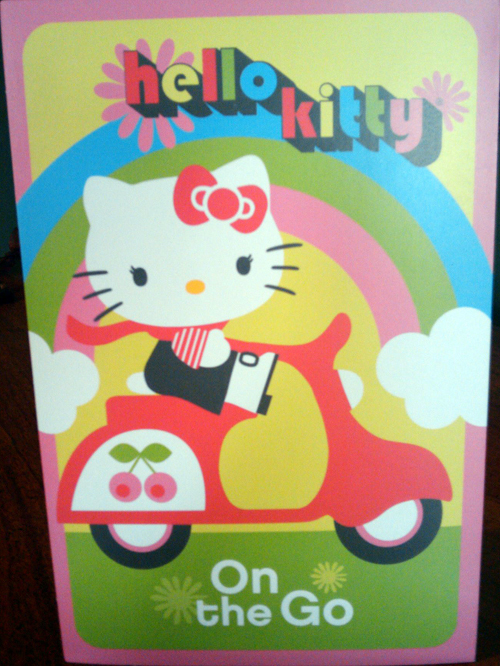 This entry was posted in Stationery and tagged card, hello kitty, scooter, target store, vespa by Tracy. Bookmark the permalink. I bought you this card Tracy, and it’s waiting for you when you get home.